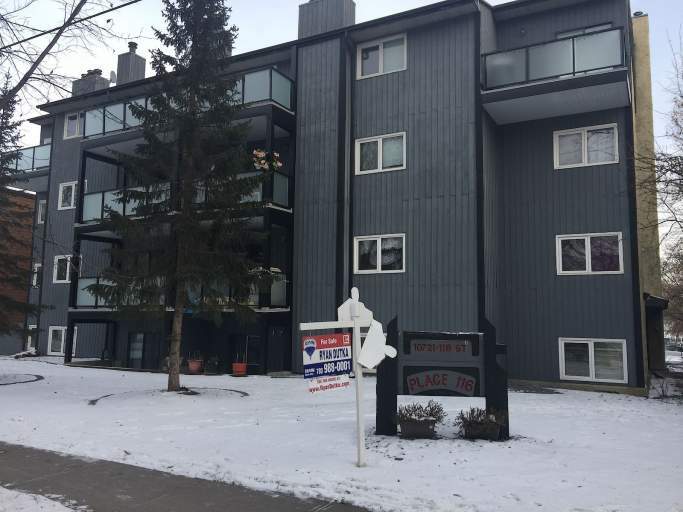 This secure building has great access to transit, with a bus stop within walking distance, and not to mention it offers close proximity to Oliver Square and both Grant Macewan University and NAIT!! The update condo offers laminate flooring throughout, two large walk in storage closets and even a large balcony/deck! The spacious kitchen includes full size fridge, stove and dishwasher plus a ton of cupboard space and a large dual basin sink. Off the kitchen there is a large dining area, and a massive living room, with a huge window and even a stylish and functional fireplace! One large bedroom and a full bath with tub shower complete this great unit. The building even offers free laundry services!! One outdoor parking space is included, as well as heat and water utilities!